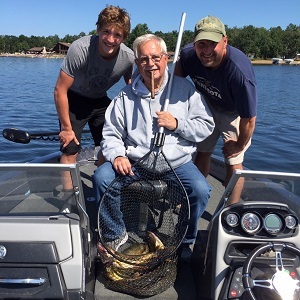 The first few weeks of June are an exciting time for walleye fishing in Brainerd, Minnesota. The weather patterns have started to stabilize and summer is just around the corner. The water temperatures are closing in on seventy degrees. They have not been this high since the previous summer. 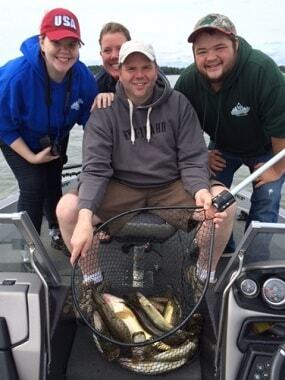 This is a good times walleyes in the Brainerd Lakes and Crosslake area. The stress of the Minnesota walleye spawn is over. The majority of minnows are in the shallows. They have been drawn there by the presence of billions of newly hatching insects. The shallows are literally full of food. 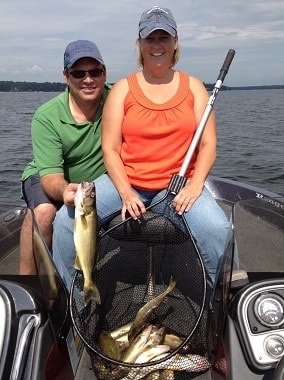 The warmer water has also affected the metabolism of Brainerd walleye. Walleyes are cold-blooded animals. Their metabolisms are controlled by the water temperatures they live in. Higher water temperature means increase walleye activity which means fish must eat more to maintain their higher levels of activity. 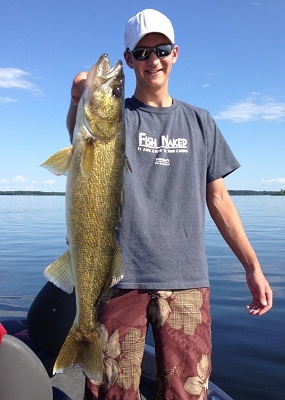 This is the time for walleyes to feed. The stage is set for one of the best walleye bites in the Brainerd Lake & Crosslake area. Good lakes during this time period include; Gull, Mille Lacs, North Long, Edwards, and Pelican. The key locations will be the points and inside corners of large cabbage beds. This is not the time to be searching for sunken islands or other mid-lake structures. The best cabbage beds will be located on the first break lines connected to shore. 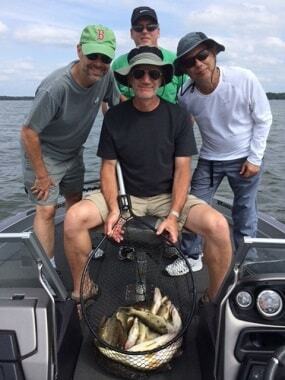 A big cabbage bed is like a buffet table for a pack of hungry walleyes. A large school of walleye will "spill" out of the weed edge and relate to the sandy areas adjacent to the weeds. Walleyes stick out like sore thumbs when seen on electronics in these locations. Bait rigging with a big healthy leech is a deadly presentation for these situations. I like to use a 3 to 4 foot Snell, a #4 red hook, and a 1/4 oz sinker when rigging. 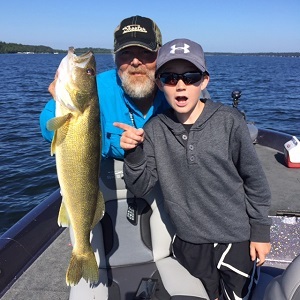 The water quality in the Brainerd Lakes & Crosslake area is clearer than many Minnesota lakes so don't be afraid to let a little line out when fishing rigs in shallower waters, Walleyes have a tendency of being boat shy in these conditions. Let the boat drift slowly down the break, controlling its speed with an electric trolling motor, drift sock, or both. Most walleye anglers drift too fast. The angle of the line to the water should be about 45 degrees when the boat is drifting at the correct speed. Walleye bites are detected by gently pulling upward on the rod when something stops the movement of the rig. Walleye bites usually have some indication of life when they take a bait. The sinker is probably just stuck on a weed or rock if the line doesn't tug back, Pop the rig free and keep on fishing when this happens. A real walleye bite will be animated. The fish will chew, or give several tugs before it runs away with the bait. Let the line go if the walleye wants to run. Give the fish a few seconds to swallow the bait and then close the bail on the reel. Slowly take up all the slack line until the weight of the fish bends the rod before setting the hook. 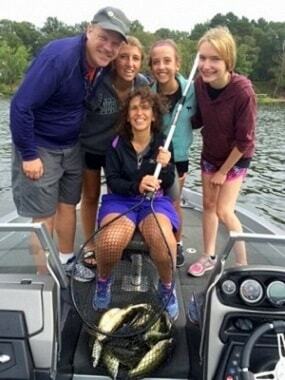 Set the hook into the walleye with a smooth upward swing of the rod. Hey, who's got the net?!! !